The view of Lake Michigan from the top of Evanston’s tallest building wasn’t the only incentive for Chicagoans to climb hundreds of steps early on a Sunday morning. 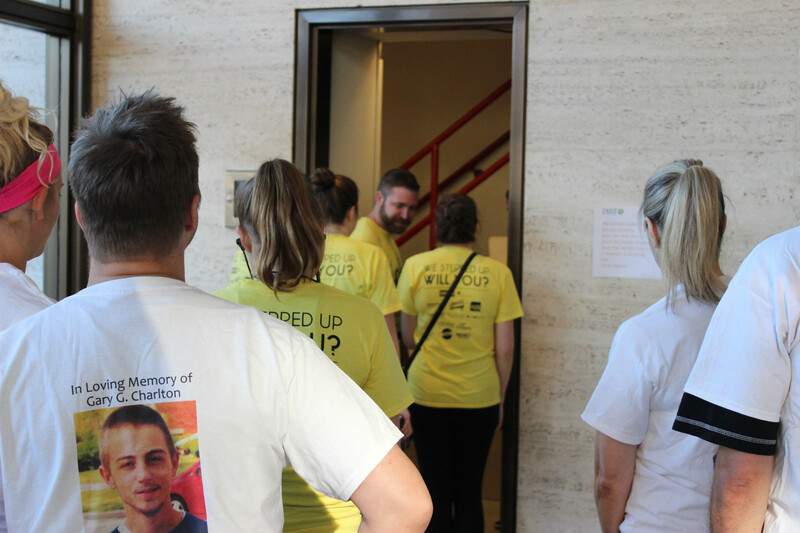 Prevention, Education, Evaluation, Recovery (PEER) Services held its second annual Step Up for Recovery stair climb Sunday morning at Orrington Plaza, inviting 150 participants from the Chicagoland area, including a number of Northwestern students, to climb 20 stories to raise awareness and funds for the nonprofit organization. For the past 40 years, PEER has aided those in Chicago’s North suburbs affected by substance abuse, and today, advocacy and prevention help shape their focus. Members of the Northwestern Dance Marathon Community Engagement Committee were among the 30 volunteers at the event, cheering on climbers, handing out water and helping the organizers carry out the climb’s goals. Dance Marathon has, for the last 20 years, donated 10 percent of its profits to the Evanston Community Foundation. This money goes to their responsive grants program, which provides funding for almost 30 different organizations in and around the Evanston community, one of which is PEER. Even though many Northwestern students were in attendance as volunteers, two Dance Marathon Community Engagement Committee members said they would like to see even more involvement. 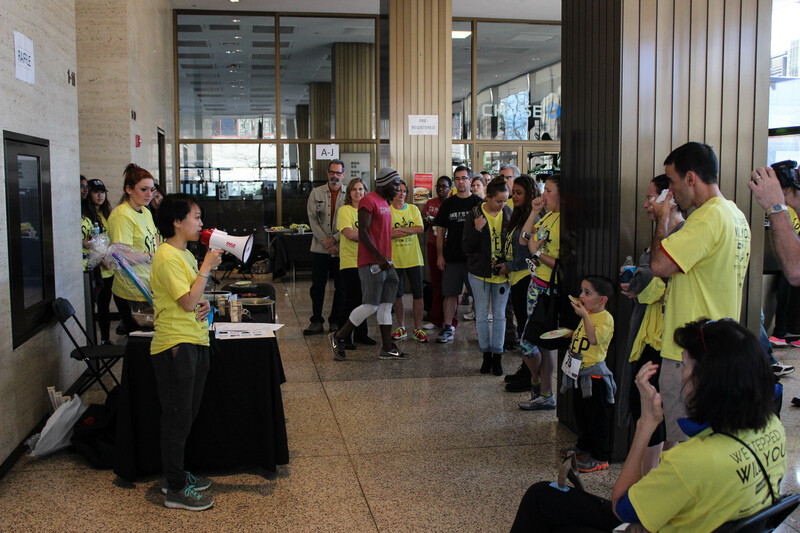 “What I want to see from Dance Marathon as a whole is a greater focus on service,” said SESP sophomore Isabel Hoffman. “From this event specifically, I’d like to see more participation from the Northwestern community,” added SESP junior Jamil Mirabeto, citing the need for Dance Marathon participants to give back to PEER and other organizations that receive funding from DM. Along with those who came to give back to the community and take part in an event for a good cause, many attendees had their own personal connections with PEER. Gamble described how her brother came to PEER in high school, where he received counselling services and help with his addiction, and said PEER helped their mother after his passing. “It’s great to see all these people coming together to support such a great cause,” Gamble said. 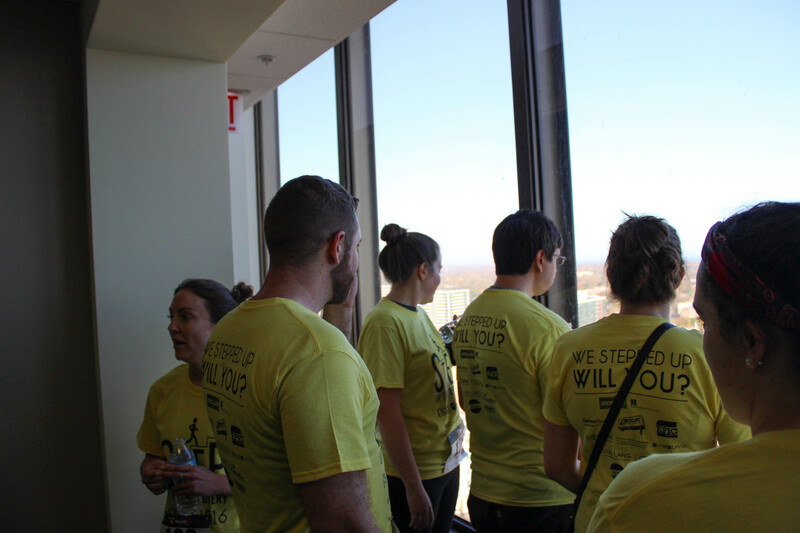 Despite their diverse reasons for attending the stair climb, all who made the trek to the top of the large gray skyscraper had one feeling in common as they emerged from the staircase to a view of the Lake Michigan coastline.